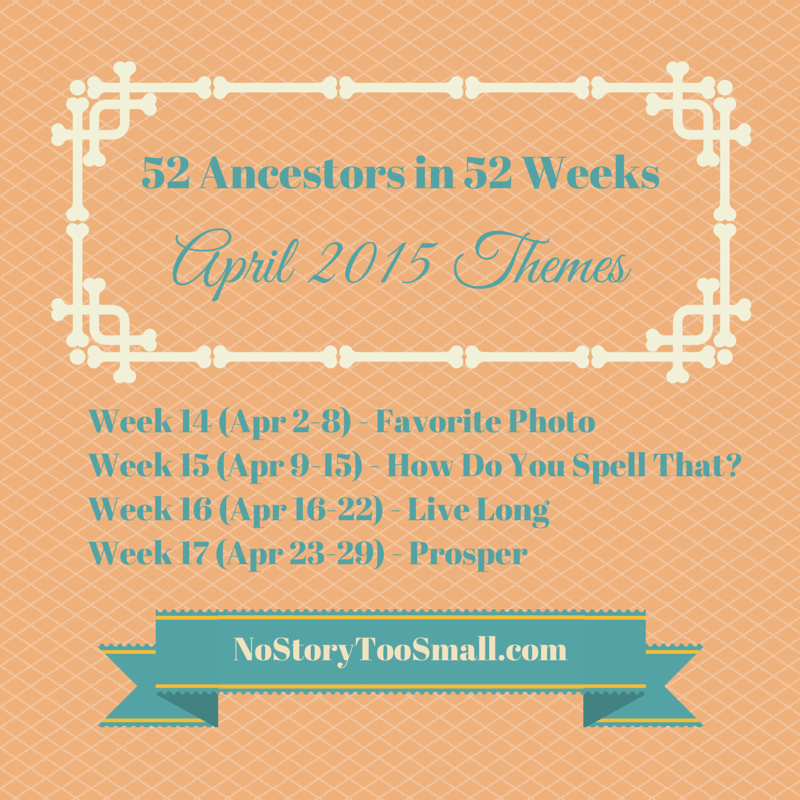 Posted in 52 Ancestors Challenge on March 16, 2015 by Amy Johnson Crow. Week 14 (April 2-8) – Favorite Photo: Who is in a favorite photo of yours? Or tell the story of the photo itself — where was it taken, what was the event? 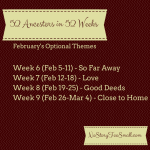 Week 16 (April 16-22) – Live Long. Time to feature a long-lived ancestor. Any centenarians in the family? Week 17 (April 23-29) – Prosper. Which ancestor has a rags-to-riches story? 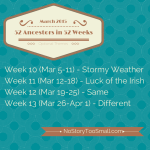 Which ancestor prospered despite the odds? The weekly recaps will be posted on Thursdays; you can add your links to those posts when it’s time. I look forward to seeing your posts! Nice nod to Leonard Nimoy. I am glad you posted this before I published my original Week 11 post!! I’m new to the group that informed me of this. How do you submit your entries to this? I know I’m coming in a little late in the game, but I am definitely intrigued. Welcome, Christa! Every Thursday, I post a weekly recap where people can leave links to the post that they did that week. (For example, the Week 10 recap.) It’s a good idea to include the name of the ancestor — cousin bait! — as well as a little bit of context about the person. I hope you enjoy!